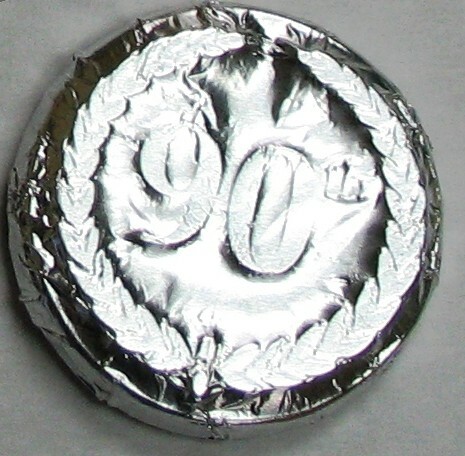 Custom molded solid chocolate candy 90 years anniversary birthday celebration round with crest, foil wrapped with imprinted label applied to foil. Product also available in cello bag tied with ribbon for an additional $0.86 (R). 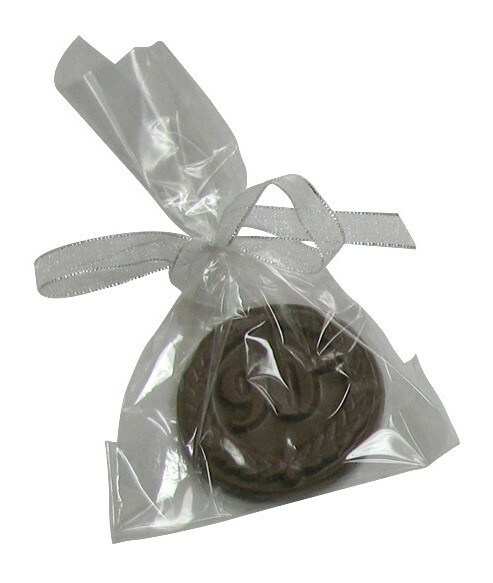 Makes a great food gift, promotional giveaway or award recognition piece.